Rebel Without A Cause was required viewing for a college class I took called Music, Marketing, and Youth Culture. 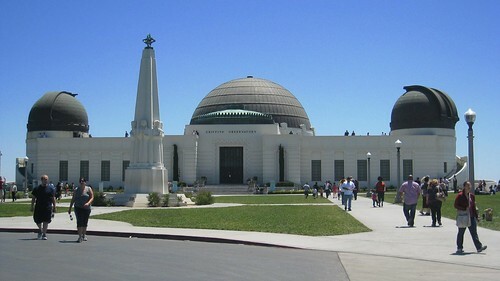 When I tweeted about my trip to Los Angeles and asked for recommendations, Griffith Observatory was mentioned several times. I remembered it as a setting from the James Dean movie, and that was reason enough for a visit. The clear blue skies and sunshine made for great views. Inside the observatory, there were plenty of astronomy displays to educate those who were interested. Using the big telescope is free, however it doesn't open until sunset (duh). You can walk up on the roof too, however it didn't occur to me at the time. The views of downtown LA are good, but the skyline certainly doesn't compare to that of New York City. As we walked around the observatory, there was a couple having their wedding photos taken. 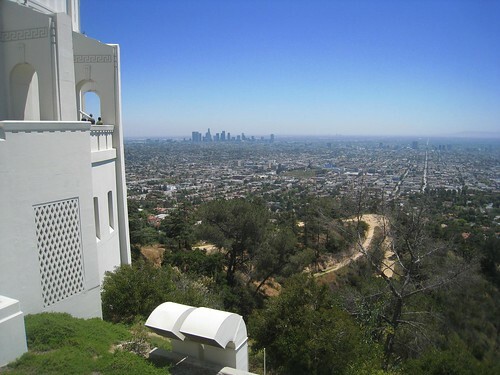 There are a lot of hiking trails in the area, and I imagine it would make for a fun afternoon to use them, and then finish up at the observatory for sunset. Stargazing through the telescope, optional. 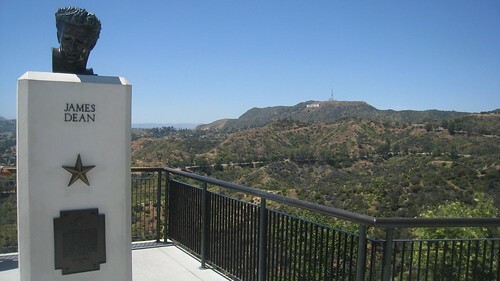 I spent a couple of days in LA last year and also drove up here partly for the view, but mainly (like you) because of Rebel Without a Cause. And having now been there, I've spotted it in Terminator (where Arnie arrives on Earth in the first one) and the fight with Demi Moore in Charlie's Angels (it was on a bus in my defence). Nobody else cares I've been there of course, but I know! I'm going to have to watch The Terminator again – thanks Jon!